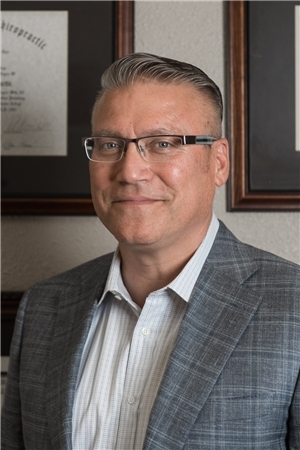 Dr. Faries earned his Doctorate of Chiropractic from Parker College of Chiropractic in Dallas, Texas. Dr. Faries is a member of the Society of Automotive Engineers, American Board of Quality Assurance and Utilization Review Physicians, American Academy of Integrative Pain Management, American College of Chiropractic Orthopedists, a Founding Life Member of the Parker College of Chiropractic Alumni Association, a 2002-2003 Board Member of the Parker College of Chiropractic Alumni Association, Texas Chiropractic Association, a former Vice President and Board member of the Keller Texas Rotary club and a Paul Harris Fellow. Dr. Faries is a contributor to the book "Special Needs, Special Horses: A Guide to the Benefits of Therapeutic Riding". Dr. Faries has worked with many worthy causes in the Keller, Texas area such as the Veteran’s War Memorial in Keller, Texas; The Central Texas Conference on Youth Missions; Coached youth baseball and football, and was a speaker at the December, 2010 graduation ceremonies at Parker College of Chiropractic in Dallas, Texas.